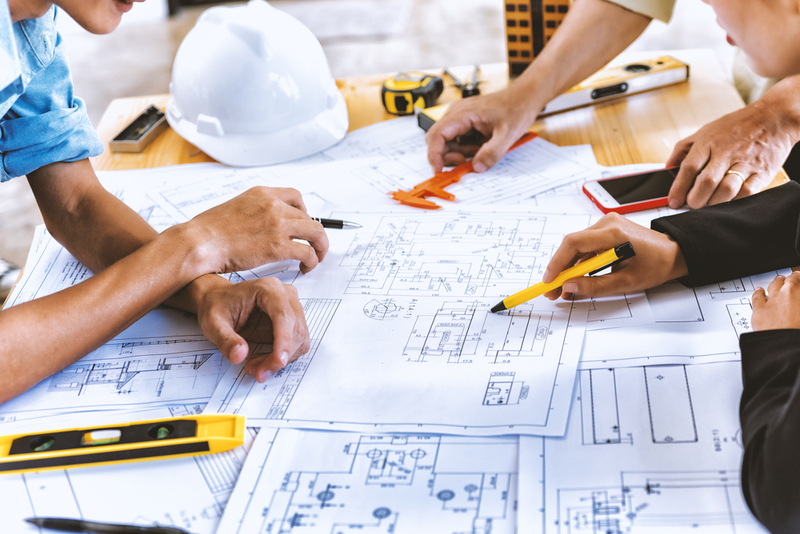 Right from the start, the refurbishment of the University of NSW (UNSW) Electrical Engineering Building was an exciting, innovative and challenging project. … which is why Fredon chose OSA as their technology partner for the job. 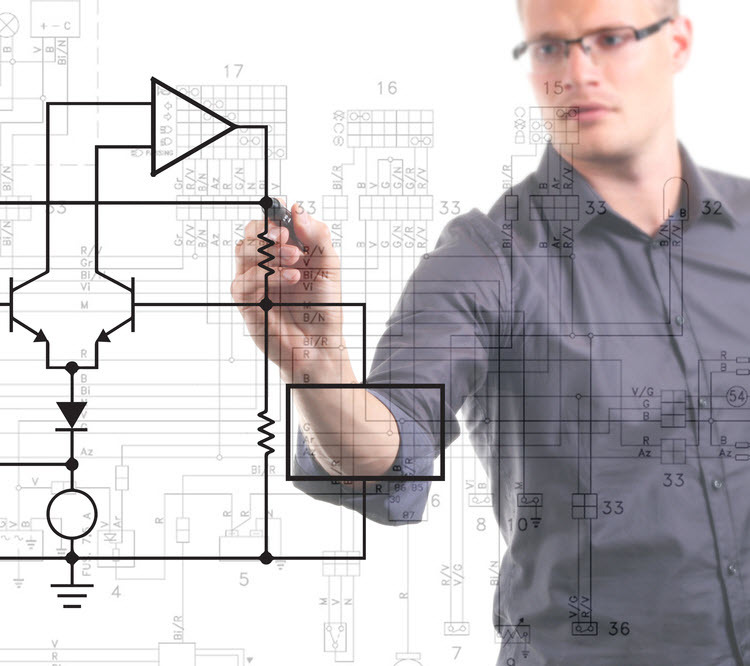 Andrew Newton, project manager at Fredon Industries, knew that OSA would be the ideal technology partner for this project because of OSA’s unique R&D capabilities. “Normally, Fredon’s role is to supply and install the passive gear such as data cable and power, and then our clients will engage specialist contractors to install and configure their active gear, but this time it was different,” says Andrew. “The University of NSW wanted us to also quote on installing and configuring a private network, so Fredon had two options. For Andrew Newton, there were two key reasons why OSA stood head and shoulders above their competition. “OSA were the only supplier who were willing and capable of delivering both the passive and the active components for this project. Their unique R&D capabilities enabled us to successfully tender for this project, and then deliver a complete network solution for the University of NSW Electrical engineering building. And their willingness to think creatively about different ways the active gear and network could be set up, and yet still enable Fredon to meet the brief under the University’s design construct guidelines, resulted in a better design. When they flew Graham down to Sydney to review and check the brief, we were impressed with the level of his expertise and just how professional the entire team was. As Australia’s largest independently owned network distribution company, the team at OSA was able to draw on the strengths of their size, engaging the services of team members from both their NSW and Queensland branches to work together as the one team. 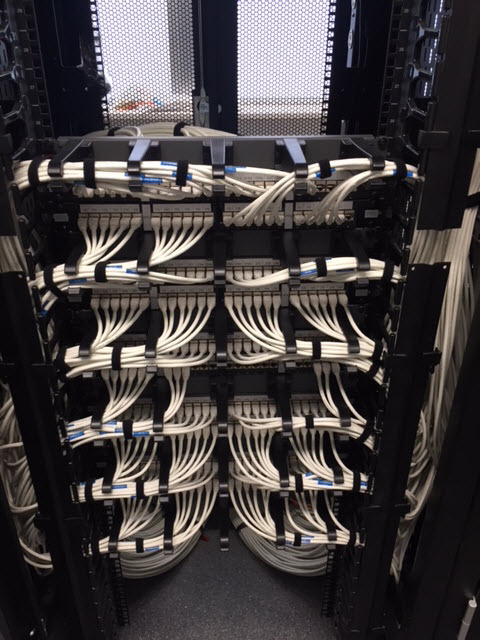 “There were three parts to this job: the overall campus network, the private network, and the private network communications rack,” says Richard Candrick, OSA’s Silverwater Branch Manager. “Firstly, we supplied all the comms equipment from our Sydney office, but because Fredon also needed OSA to assist with design and commissioning the private network, we needed to engage the services of our Queensland team. We flew Graham Brown, our National Engineering Manager, and Mohsen Rahimi, one of our engineers, down for our presentation of our Capability Statement to Fredon. OSA’s relationships with their vendors enabled them to deliver a bespoke solution for Fredon and the University of NSW. 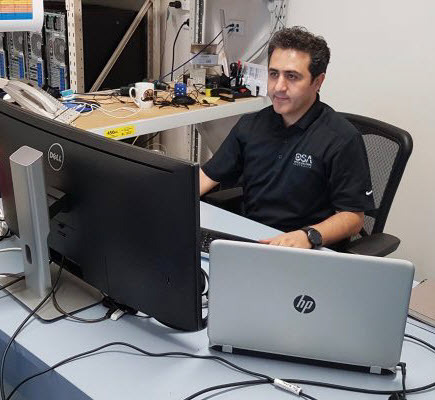 Although OSA originally designed the network using HP switches, when the university specified they use CISCO switches instead, OSA made the necessary changes so the network would fit with their requirements. 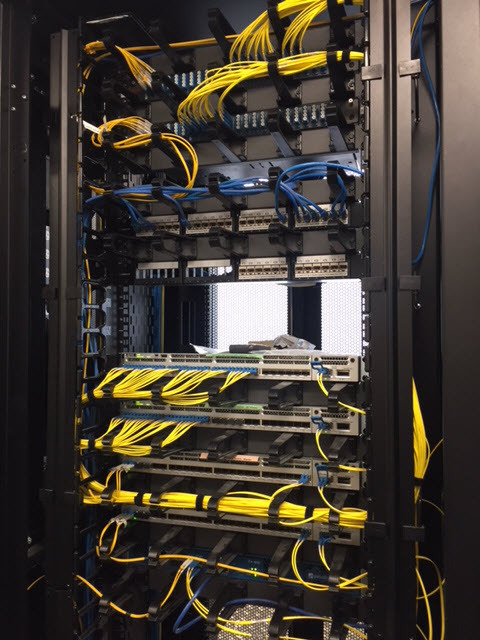 Another challenge was that the university required a different coloured cable for the private network to the existing university network. 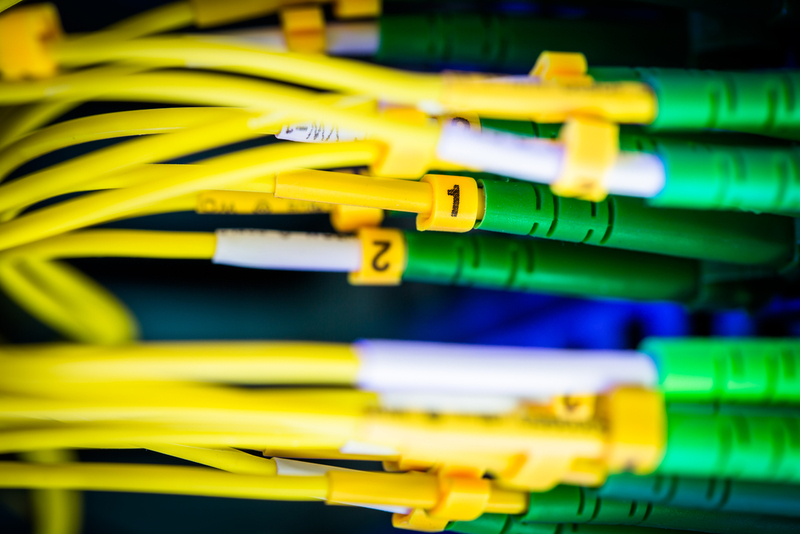 The existing network used yellow cable, so OSA worked with their vendor to engineer the cable for Fredon, getting it colour-sheathed in a different colour. “With any project of this size, timing is crucial,” says Andrew. “And any delay in stock can have a huge knock-on effect on a project. Unlike a lot of their competition, OSA is not a box dropper. OSA’s Australia-wide network of warehouse and industry-wide reputation for delivering on time, every time, meant that Fredon knew we could always rely on them to have the stock ready and waiting in their warehouses for when it was required. “OSA solved a number of problems for Fredon, such as the original gateway/subnet for the private network not being able to be used because the number was already allocated to the UNSW,” says Andrew. “Also, some of the technical information the client gave us was wrong so OSA had to reconfigure part of the network, and they flew Graham and Mohsen down to do the final configuration of the fire wall. OSA really are head and shoulders above their competition because they are the only Australian network distribution company to have both system design and staging capabilities. They also have specialised engineers to engineer the hardware … it’s no good having the product if you haven’t got the ability to put it all together! Our partnership with OSA has extended over 20 years because they provide excellent service and they always excel with deliveries. We’ve never had to worry about keeping on top of OSA because they are always so proactive.